Artist Notes: I saw this challenge advertised on the bigbangindex looking for artists to illustrate stories for the acespnbang. There were a lot of awesome summaries and it was so hard to choose. Over the next few days I ended up claiming five stories as the only requirement was to illustrate a minimum of 1 piece of artwork. 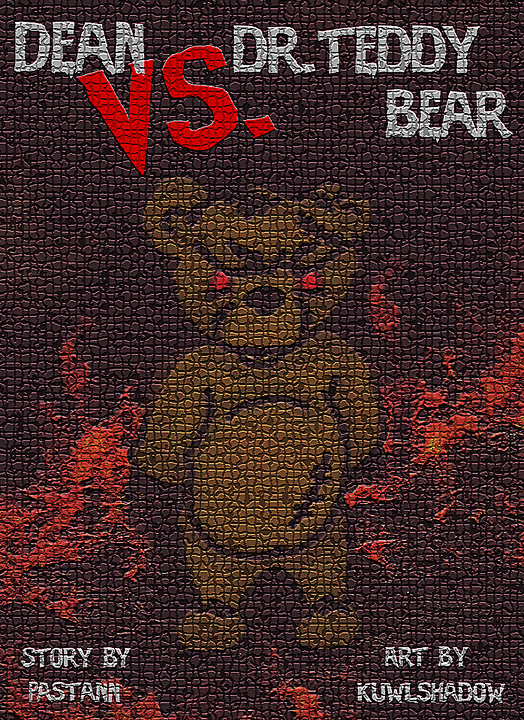 Pastann's story, Dean Vs Dr. Teddy Bear was one of the stories that I claimed. It is a fun story and really enjoyed reading it. I really enjoyed working with her on this project. I hope you take the time to read her story. Thanks, Pastann, for writing this story for this challenge and thanks to the mods of the acespnbang for this wonderful opportunity!